Complete your project on time with quality cryogenic seals, backup rings, and other components from Palmetto Precision Polymers of Conroe, Texas. All of our products are designed specifically to meet your needs. Palmetto has 25+ years of experience within the polymer seal components industry. This experience gives us the ability to provide high quality service and products. The design approach combines the optimal benefits of polymers materials and springs available to the industry. Palmetto's ability to expedite designs and manufacture prototypes for the customer's evaluation and approval, is an advantage for rapid testing and close time restraints. Our machine capabilities range from 0.030" to 90" in diameter. 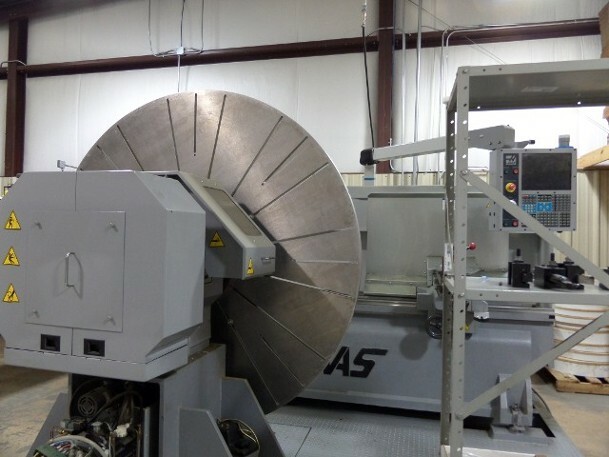 In our CNC Lathe center we have a ST-20 CNC with live tooling for smaller parts that require basic milling designs. We have a SL-20 CNC (Diameter range of .030" to 18"), a ST-20 CNC (Diameter range of .030" to 8"), we have a ST-30 CNC (Diameter range of 1" to 20") and we also have a TL-3B CNC (Diameter range of 20" to 90"). Included in our "tool belt" is a manual mill, 2 optical comparators, standardized measuring tools, and spring welding capabilities We also offer a variety of spring designs to suit your needs. Quality control experts are on staff to ensure every product is designed to spec.We can provide you with best possible solution for your sealing needs. Contact us at (936) 588-6050 in Conroe, Texas, for custom-designed, high-pressure backup rings.